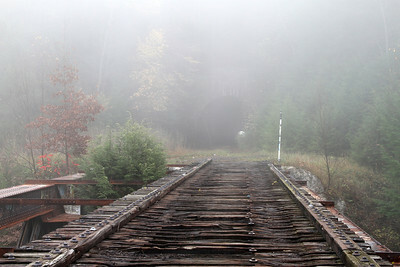 The Franklin & Clearfield Railroad was chartered in 1902 to build from Franklin to Clearfield, Pennsylvania. 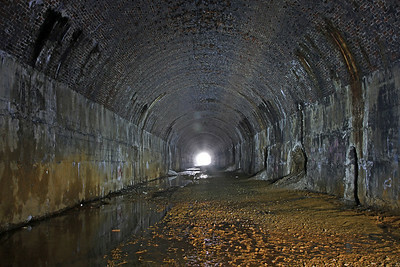 The railroad opened to Brookville in September 1909 and reached Clearfield by June 1911. 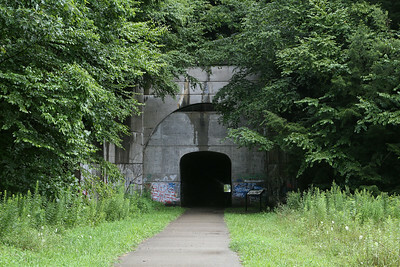 The Franklin & Clearfield became the Lake Shore & Michigan Southern Railway’s Northwest Pennsylvania Branch, then later the New York Central’s Franklin Division (later Erie Division in the 1930s, Lake Division in the 1950s). 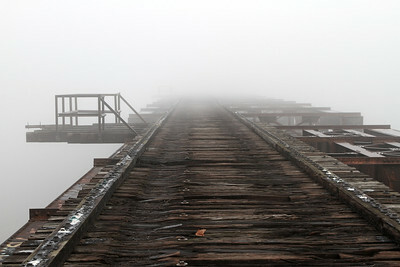 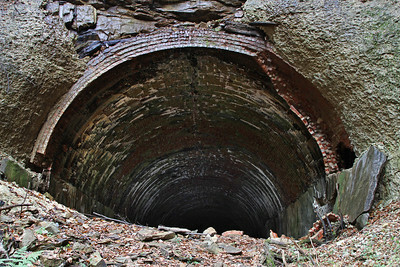 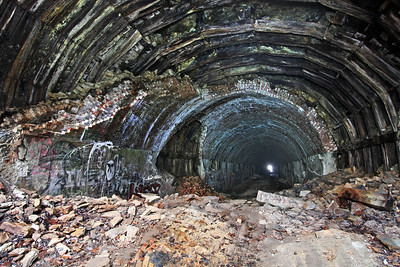 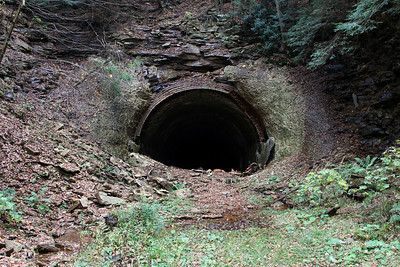 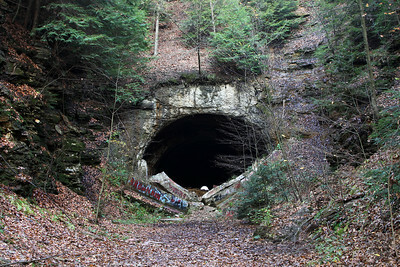 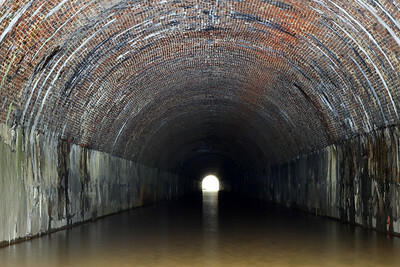 The route west of Brookville, including all three tunnels, was finally abandoned as Conrail's Clarion Secondary in 1988. 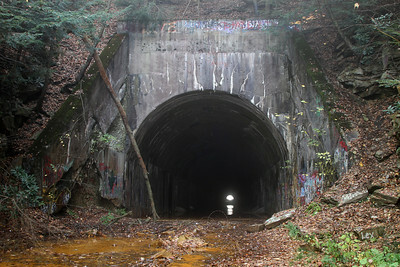 The route east of Brookville (to Piney) operated as the Pittsburg & Shawmut Railroad's Piney Branch until 1997. 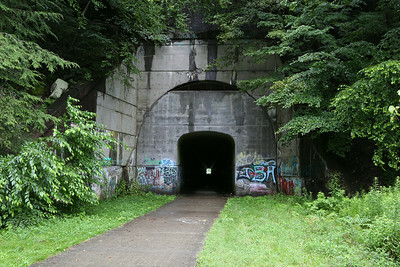 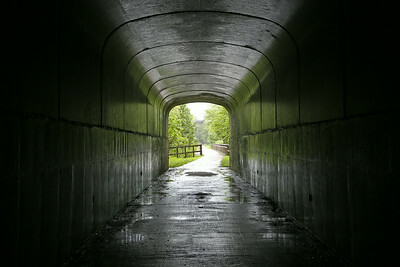 A concrete plug was added to Tunnel #1 in 2005 for use on the 12-mile Sandy Creek Trail.